Optima Vision 5 inputs ( 4 satellite Quad or Quattro LNB plus UHF TV ) x 8 outputs Multiswitch at an affordable price..
Optima Vision 5 inputs ( 4 satellite Quad or Quattro LNB plus UHF TV ) x 12 outputs Multiswitch at an affordable price..
Optima Vision 5 inputs ( 4 satellite Quad or Quattro LNB plus UHF TV ) x 16 outputs Multiswitch at an affordable price.. 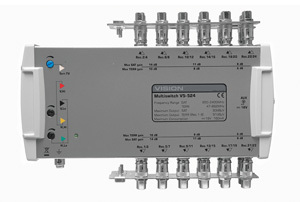 Vision V5-524 5 inputs - 24 output multiswitch Designed for line powered IRS installations. 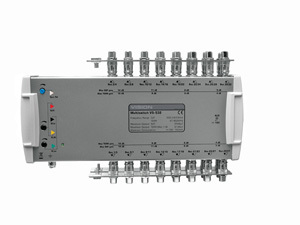 Vision V5-532 5 inputs - 32 output multiswitch Designed for line powered IRS installations.